This is an insightful and fascinating portrait into the life of one of cinema's greatest actors. 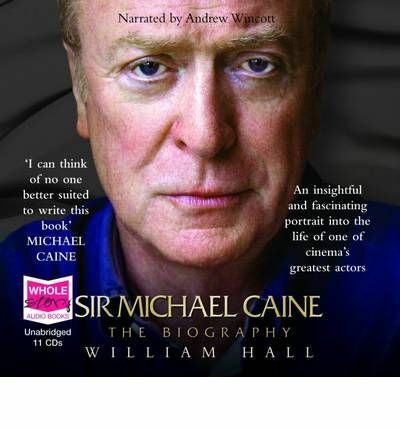 Born Maurice Micklewhite, son of a Billingsgate fish porter and a charlady, Michael Caine's life has been an extraordinary rollercoaster: from washing dishes and fighting on National Service, to winning two Oscars and being knighted by the Queen. With more than eighty films to his name, he has starred in some of the classics of modern cinema: as an action anti-hero in Get Carter, a Cockney lothario in Alfie, and a disillusioned alcoholic academic in Educating Rita. He is an enduring model of British cool. This authorised biography charts the amazing highs and lows in his turbulent ride to fame, fortune and respect. This recording is unabridged. Typically abridged audiobooks are not more than 60 per cent of the author's work and as low as 30 per cent with characters and plot lines removed.